This is on my personal blog instead of the RIDE blog because it’s just me thinking aloud. Any literary translators out there? So I was thinking it would be nice to have RIDE available in other languages, but then I thought, No, each translation would probably cost too much to make sense. So then I thought, what about a royalty split? Translator gets a percentage. But then I thought, No, I had to stop doing royalty splits with authors because the accounting is so impossible, plus it’s kind of insulting to say, Hey, do all this work and you might get a fraction of what I get out of it. So then I thought, what if the translator just gets all the sales income and I don’t get any part of it? And then I thought, I’m not actually seeing a down side for anybody here. I wouldn’t make any money, for either my editing/design/production or my own story, but that’s not the same as a loss. The story authors and the artist would be in a similar situation: they’ve been paid and aren’t seeing anything more coming in after that anyway, and any author/artist who didn’t want to participate could just say no thanks. The translator wouldn’t get paid up front, but they wouldn’t have to spend anything, either, and after doing the work, they’d be the foreign publisher. So the first penny that came in on that edition would go directly to them—and so would the ten-thousandth penny. Since we’re not dealing in physical copies, but rather in .epub, .mobi, and .pdf files, and I’d do the production work (slotting the translated stories into existing files where the English stories currently reside, changing the title on the cover from RIDE to whatever word now goes there, sending the files to the translator) without compensation as part of the experiment, there is no out-of-pocket expense for anybody, just some work for me and some work for the translator. Translator starts their own accounts at Amazon, Lightning Source, B&N, iBooks, etc., uploads the files, talks it up online, and gets some money. How much money? I have no idea. Not a ton; RIDE isn’t The Hunger Games, and it only exists because I love bikes and wanted to read short stories about them, not because I did any market research. But the money also wouldn’t be zero. But that’s the experiment’s main question: Is this a viable plan? Would everyone benefit enough to keep doing it? Would there be any kind of “rising tide floats all boats” effect? Would the expansion of the series into more languages help each edition sell more because the series itself becomes better known? Would anybody but the translator end up getting anything out of it? Would the translator get more than a few bucks? I don’t know. It’s all question, no answer, at this point. But that’s my half-formed idea. What do you think? 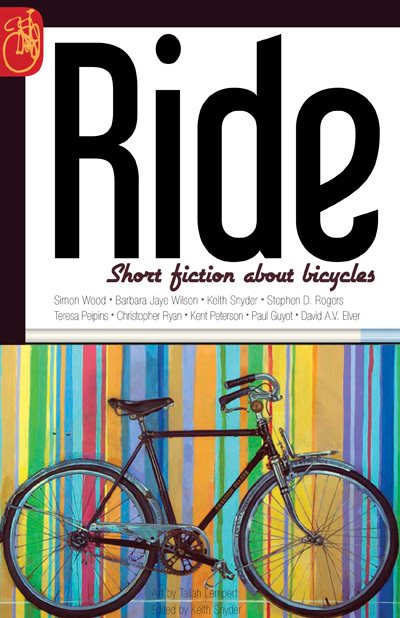 RIDE: SHORT FICTION ABOUT BICYCLES is now available for Kindle! 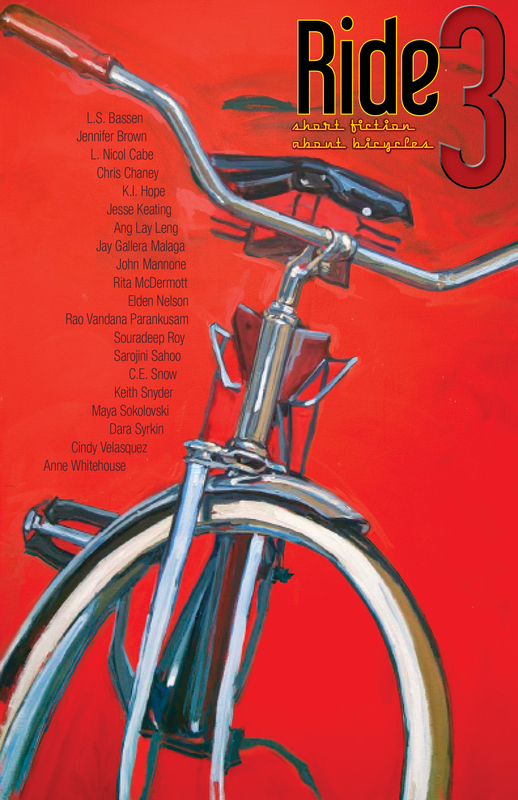 I should probably mention that it includes my Northern Manhattan story, “Night Ride,” which is my first new fiction for sale since “Dead Gray” ran in Ellery Queen’s Mystery Magazine in 2007. Hey, look at that. There’s a GIVE AS GIFT button over on the right. I’m very pleased to announce the authors of RIDE! I’m very pleased to announce the authors of RIDE!.